We are proud to have been awarded the ‘Best of Houzz 2018, 2017, 2016 and 2015’ for Design and Customer Service. Andrew Loader Design was selected from more than 500,000 home improvement professionals worldwide! Andrew Loader Design are proud finalists in the 2017 Australian Small Business Champion Awards. Read more about the award here. It was not a glamorous apartment to start with quite ordinary really – or so I thought but Andrew and his team saw much more in it than I ever could have imagined. Like many I am time poor and can’t be bothered with details and couldn’t care less about one fitting versus another – never use the kitchen except for drinks and didn’t know I had a laundry. The fact that I could just give Andrew the keys and leave it all to him and his team was very much appreciated – he knew what I needed and understood my life and my style. I have worked with Andrew Loader Design on three separate projects. Each time Andrew made the experience seamless and his attention to detail second to none. The results of Andrews work speak for themselves… fabulous!! There is no other designer I would engage after working with Andrew. Andrew and Michael are inspirational. Professionals from concept through to implementation of the project. They achieved the brief in every possible way. At times the design took us out of our comfort zone but we trusted Andrew and at the end it all came together beautifully more than we could have ever imagined. We had the apartment completely renovated including two bathrooms and kitchen. We could not have done this if we hadn’t engaged the services of Andrew Loader Design. Since completion we are so house proud and always enjoy coming home to it. This was the start of my partner and I living together and feel the apartment represents us in every way. I highly recommend the services of Andrew and Michael at Andrew Loader Design. You would not be disappointed with their vision, attention to detail, industry contacts, creativity and professionalism. I can’t rate Andrew Loader highly enough for his professionalism, ease of collaboration and timeless designs that really hit the spot with our home refresh. Andrew provided a prompt response to my initial query (compared to others I called) and he very quickly understood what we were trying to achieve. He then provided design boards that beautifully captured the sophisticated and calm environment that we were after. Thanks Andrew for your insights and expertise, attention to detail and excellent service. From my first phone call to Andrew on the day of the handover he was extremely professional, highly competent and delivered an outstanding result, far exceeding my expectations. 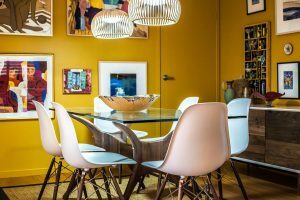 I had never engaged a designer for a renovation in the past and was keen to get professional advice for the renovation of a unit I had recently purchased. I contacted several designers but none of them had the imagination nor enthusiasm which Andrew displayed. Andrew listened to my thoughts and was able to set a clear vision for the space and ultimately bring his magnificent ideas to life. The unit is in a building which was built in 1939 and has a very distinctive look and feel of a classical era. Andrew was able to sympathetically transform the space, provide unique ideas, and develop a consistent look and feel throughout the unit that is consistent with its heritage. When Andrew first presented the ‘concept’ boards to me I was astonished at how skilfully he was able to translate ideas into reality. I was referred to Andrew by a friend whose opinion and advice I respect. I looked at Andrew’s designs. They were elegant on so many levels. His philosophy about his work and his passion for what he was doing really came through. As a business owner myself, I look for passionate people to do business with. Passion for what you do is the difference between someone doing a job and someone caring about the job they do. Andrew and I spent some time talking about what look and feel I wanted to create in my home, and my colour palette. I enjoy entertaining but also wanted a space to relax and unwind. I knew that I had absolutely made the right choice in a designer towards the end of one of our meetings. Andrew summed up in one sentence what he understood I wanted to achieve. I still remember that defining moment because I knew I had found someone who would work with me to create my new living space. The Brief was that my art work and my lounge stayed. The rest was open. The first design board Andrew presented blew me away. He brought in elements that I would never have considered which gave my space a whole new dimension. The exciting part for me was that I could see every element of the design fitting into my home. Andrew prepared a schedule for me of the elements of the design where they could be found and how much they cost along with a placement “map”. The most challenging part of the process was the transition from old to new. Andrew was always on the end of the phone if I had any questions, worries, thoughts, desire to purchase a new painting etc. I have to say he showed enormous patience and tact during those periods to keep me focused! Andrew came up to Brisbane again for the final day of the project to supervise the placement of paintings and do the final touches. It was magic to watch him work with the tradesmen. The harmony was extraordinary. What can I say about the finished product? I struggle to find words besides fantastic, beautiful or great. They don’t come close to describing the extraordinary design that reflects so totally my lifestyle. The finished product is in itself a work of art. I sit sometimes and just look at the space. It feels like living inside a magnificent painting that changes with the day. I am pleased to highly recommend Sydney Interior Designer Andrew Loader. Andrew was very professional and so creative in his approach to designing my new Sydney apartment. Andrew was very attentive and asked the right questions to capture the elements and essence of what we wanted our home to become. Andrew presented numerous design options which were tailored to our lifestyle and what we wanted to achieve. The designs were stunning, and totally represented our vision, budget and what we wanted the space to become. Andrew provided us with a service proposal with 3 options. We selected the option for Andrew to project manage the entire project. This meant Andrew arranged for tradesman to visit our property to prepare quotes for the flooring and window treatments, and kitchen and bathroom specifications. Andrew then presented these quotes along with the final interior design concepts. Andrew’s natural talent and enthusiasm made us feel that our new home was just as important to him as it was to our family. The finished product speaks for itself, we have never loved coming home so much. Andrew brought our dream space to life in so many ways. Our friends cannot believe it when they walk in, the first impression is usually ‘WOW”. I highly recommend Andrew Loader Design for anyone looking to create a stunning environment, and who is looking to save time and money on their home renovation. I’d never paid for an interior designer before, and the stress that was taken away from my project was worth every cent What amazing concepts Andrew came up with, just spectacular. Andrew has an extraordinary natural ability to listen and created something that both my husband and I wanted and the finished project was breathtaking. We couldn’t be happier and whole-heartedly recommend Andrew for your Interior Design dilemmas. Thank you Thank you Thank you Andrew! I can’t recommend you enough Andrew and can’t wait to work with you on my other rooms soon. Thanks for your ongoing advice and support. Sourcing and establishing strong, reliable and creative relationships with likeminded professionals is extremely important to us, especially when collaborating on projects to achieve the very best outcome for the client and the project in its own right. This is what we are blessed to have achieved with Andrew Loader Design as a partner and strong professional alliance. Working with a great interior designer such as Andrew Loader Design has been a highly rewarding and enjoyable experience. They have driven us to achieve the very best for our clients as they do without doubt each and every time themselves through their very own process. Andrew Loader Design create inspiring, enchanted and luxuriously defined spaces that always amaze us and further inspire us to work successfully off the back of their amazing work. 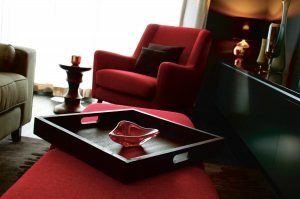 They are experts in excellent interior design and their eye for detail, colour and balance is exceptional. They are professional, detailed and efficient in their processes and this always allows for the very best outcome on each and every project. It is great seeing the joy and overwhelming happiness that they bring to each and every client at project completion. We have witnessed first hand the quality attention to detail, unique creativity and luxurious taste that certainly defines their style as their own. We have collaborated with Andrew Loader Design on several occasions in partnerships focused on achieving harmonious, well-partnered indoor-outdoor living and enjoyment presentation spaces. 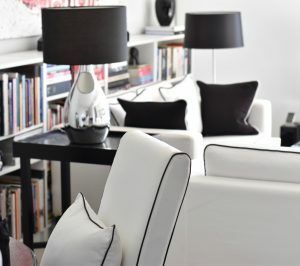 It has been such a pleasure and honor to be able to work with this unique Sydney interior design company, Andrew’s extraordinary talent and professionalism makes him a delight to work with. We look forward to our continuous business relationship with Andrew Loader Design and we are always excited to work with them on the next magnificent project. 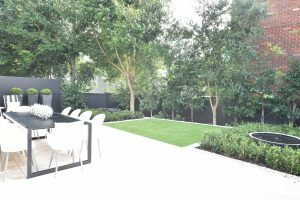 Impressions Landscape – Design highly recommends Andrew Loader Design with confidence to any client, associate or acquaintance that wishes to achieve truly inspired interior spaces for their home.